Psoriasis is a longstanding skin condition that mostly affects adults but can also be found in children and teenagers. In normal circumstances, the skin usually takes about four weeks from the time it is produced to the time it is shed off. In psoriasis, skin cells production is so high that the flaking-off of the skin is done in a matter of a few days instead of weeks. This leads to a buildup of skin tissue which gives the characteristic appearance of affected skin in this disease. This includes silvery, red and flaky skin patches. There may also be crust formations. The disease patches usually affect the elbow, the legs, the lower back, and under the breasts and between the buttocks. 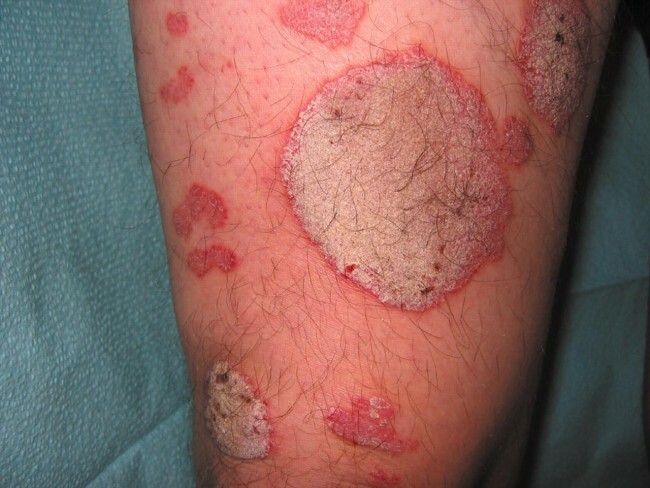 These patches can widen out and coalesce with others to form large areas with the skin disorder. Psoriasis can be classified as mild, moderate or severe. This depends on the severity of the condition and the extent of skin affected and whether there are other complications. Other classification depends on the part of the body affected and the pattern of the patches. Psoriasis comes in cycles and sometimes can go into remission even without any treatment. Symptoms will also depend on whether psoriasis has complicated to affect other areas and organs of the body. In such cases, the specific complication will present with the relevant signs and symptoms. The exact cause is unknown. But there appears to be a connection between the disease and certain disorder with the immunity. The immunity reacts abnormally causing proliferation of skin production in certain areas. 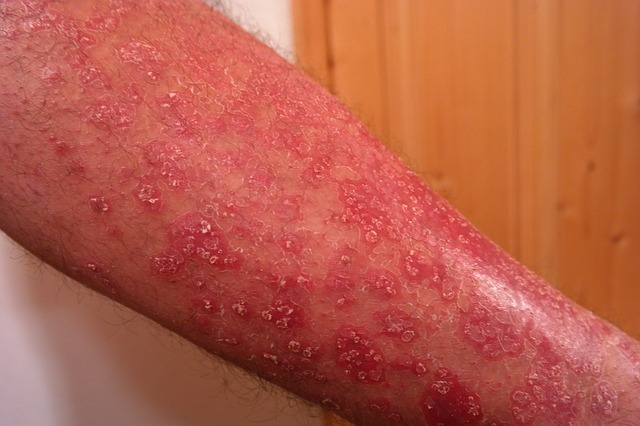 The clinical appearance and examination help the doctor suspect psoriasis. A family history may also point to psoriasis. A skin biopsy may be taken to be examined under a microscope. This helps to establish the type of psoriasis and to rule out other skin conditions that may be confused with the disorder. Treatment aims at reducing the rate of skin growth and to relieve the pain of the scaly, cracking skin. It also aims at minimizing complications. It comprises of topical skin applications, light (phototherapy) treatment and use of oral or injectable medications. Topical medications include creams, ointments, and shampoos. Some people get well with this only. Coal tar and salicylic creams and ointments have been used for long. They may be in combination with other medications including corticosteroids. Light therapy or phototherapy involves using specialized UV light sources or short episodes of exposure to sunlight. Oral and injectable drugs are used where phototherapy and topical applications have failed. Psoriasis can be a distressing condition but with current medical interventions, a patient can lead a fairly normal life. For some, the disease can go into complete remission never to occur again.